Nokia is launching a range of phones called Nokia X that will run Android apps despite the mobile company's recent acquisition by Microsoft, the manufacturer of the Windows Phone operating system. Stephen Elop, chief executive at Nokia, unveiled the new range of phones this morning at Mobile World Congress in Barcelona. He was forced to fend off questions that Windows Phone operating system is a "burning platform". Elop defended Windows Phone by stating it was the fastest growing operating system in the world and pointing out sales of the Lumia range, which operates exclusively on the Windows Phone platform, have doubled year on year. There will be three phones in the Nokia X range including the Nokia X, the Nokia X + and the Nokia XL, which will retail for 89 Euros, 99 Euros and 109 Euros respectively. Even though the Nokia X range will run Android apps, Elop said it will take people to Microsoft’s cloud rather than the Google cloud. 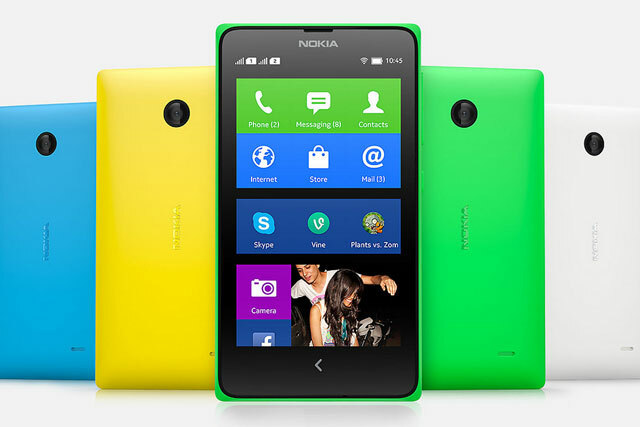 Elop said Nokia X will be complementary and will enable developers to reach a much "broader audience". The development is designed to a deliver a "deliberate tiering of devices with a common set of experiences to bring them together" and is part of Nokia’s move to target "growth markets" with a range of phones cheaper than the Lumia range. Elop claims the Nokia X "family" will allow the company to compete against other affordable Android phones in the market and "win" due to the Windows Phone experience.